Preservation Texas invites nominations for the 2019 Honor Awards. Nominations will be reviewed by a jury composed of fellow members of Preservation Texas who represent a range of professional preservation disciplines. 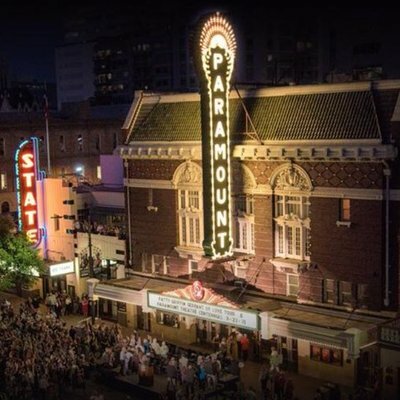 The 2019 Preservation Texas Honor Awards will be presented on Wednesday evening, February 27, 2019 at the Paramount Theatre in Austin. Honor Award recipients are expected to attend the award presentation in Austin. Nominations are due by close of business (5:00 pm CST) on Friday, December 7, 2018. All submissions must be made through our submission website and cannot be e-mailed or mailed. Members of the jury will review the information exactly as it is submitted through this website, so be sure that you are clear, concise and complete in your descriptions. Preservation, Restoration, Rehabilitation or Reconstruction: Recognizing exemplary historic preservation, restoration, rehabilitation and reconstruction projects that adhere to the Secretary of the Interior’s Standards. Honor Awards may be presented to a residential or non-residential property, whether privately or publicly owned. Nominations must be for projects completed within the last three years. Infill/New Construction in a Historic District: Recognizing exemplary infill/new construction projects in a historic district that respect prevailing neighborhood character, including height, mass, scale, form, materials and landscaping. Clara Driscoll Award (Individual or Organizational Excellence in Long-term Stewardship): Recognizing an individual or organization with a long-term dedication to the preservation of a community or property. Advocacy Award: Recognizing an individual for outstanding advocacy efforts on behalf of a specific historic preservation campaign to save a building, site or community that was under imminent threat of destruction or loss within the last two years. Truett Latimer Award (Preservation Professionals): Recognizing a working professional who demonstrates an outstanding commitment to and sustained involvement in preservation as part of their job responsibilities. Public Service Award: Recognizing an elected or appointed government official who has made a significant contribution to the preservation of Texas heritage. Curtis Tunnell Award (Multicultural Heritage Project/Program): Recognizing achievements in the promotion and preservation of the Texas’ multicultural heritage. Projects eligible for this award include rehabilitation or restoration projects, interpretive programs, heritage leadership or other activities that emphasize the diverse heritage of Texas. Heritage Education Award: Recognizing outstanding heritage education programs (developed and delivered within the last two years) and awarded to individuals and organizations for curricula, programs or exhibits that promote historic preservation and local history. Master Craftsman Award: Recognizing individuals in Texas that have continued to use a traditional technique or method in construction to achieve authenticity in the preservation, restoration or reconstruction of historic resources. The technique must be one that is considered both artistic in nature and rare in today’s construction practices. Texas Media Award: Recognizing outstanding works published or produced within the last two years (journalism, films, books, websites) on historic preservation themes, topics, issues, projects or local history and architecture. Please remember that all 2019 Honor Award nominations must be submitted by 5:00 pm on Friday, December 7, 2018. There will be no extensions.